Joe Bryan Movies | Memories preserved for all time. First United Methodist Church at Cloverdale Park in Montgomery, Alabama. The reception was a great party at the Lido Pool, Hampstead. April 1, 2017 "YES, it was April Fool day"
Perfect day wedding at Lake Martin Church in the Pines with reception at Willow Point Country Club. 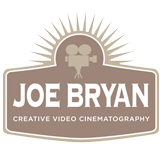 Catie and Cooper's wedding movie by Joe Bryan. Ceremony was at Saint Mary's Catholic Church in Mobile, Alabama and the reception at Country Club of Mobile. First United Methodist Church of Monroeville, Alabama. Reception at the Vanity Fair Reception House. Wedding and reception at The Avenue of the Oaks in Pike Road, Alabama. First Baptist Church in Montgomery, Alabama with a reception at 129 Coosa. Ceremony performed at First Baptist Church, Montgomery, Alabama with a reception at the Alabama Activity Center. First Baptist Church and RSA Activity Center in Montgomery, Alabama. First Baptist Church, Montgomery, Alabama reception at Wynlakes Country Club. Vestavia Hills United Methodist Church and B&A Warehouse in Birmingham, Alabama. First Baptist Church Selma, Alabama. Studivent Hall reception. First United Methodist Church in Montgomery, Alabama. Reception at Wynlakes Country Club. A beautiful day for a spring wedding at Lake Martin Children's Harbor. First United Methodist Church and the Sims family home. The beautiful pre-wedding shots were made at the Dees residence. Wow! What a gorgeous location. Thank you Morris and Susan! Such a beautiful, fun afternoon and evening. Bebe and Drew's wedding at historic Pleasant Hill Presbyterian Church and The Selma Country Club near Selma, Alabama.